During the last five decades gays and lesbians in Denmark have not only gained equal rights, but also experienced unprecedented levels of social acceptance and inclusion. Today homophobia and hate crimes are the rare exceptions to the rule of undramatic diversity. This picture of the state of affairs is borne up by scholarly and national polls, both of the opinions of heterosexually identified people, and the experiences of homo- of bisexually identified people. However, one often reads the statement in the press that even though homophobia might be rare in the big cities, it is still widespread in the provinces and among right-wing Christians. In my talk, I would like to problematize this projection of homophobia onto the provinces. The assumption of homophobia is not backed by general facts, but rather by anecdotes that are sometimes 10 or 20 years old. I would furthermore like to present two recent cases where the assumption of homophobia was covered in the press: A gay couple who was denied a job as hotel managers, because the owner assumed that the town ‘was not ready for that’, and a lesbian couple who were apparently harassed by the Christian community in town, where the harassment turned out to be a hoax. 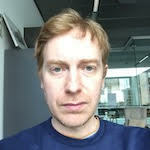 Peter Edelberg is a historian, PhD, and external lecturer at the Saxo Institute at the University of Copenhagen. ← Sodom Island and Samuel Jones: Pandaemonium and sodomitical order on Norfolk Island, 1832-1846.